Your Gift Can Help Save Baby Blues - And We're Going Back To Court To Do It! And we're going back to court to protect them! In just a few weeks, I return to the courtroom with our legal team to fight a final phase of a court challenge to protect the Gulf of St. Lawrence. Our first appearance last December was to simply be given “standing”, (meaning a judge would first have to decide if we could even be heard in the larger, future battle to fight the re-issuance of an oil company’s licence that had expired.) And we won that one! Sierra Club Canada Foundation – Atlantic Chapter is searching for an outgoing, energetic, and dedicated individual to carry out tasks associated with our Watch for Wildlife program (www.watchforwildlife.ca). This position will be based in Colchester County, Nova Scotia. A report released May 9th, 2018 by the leaders of Canada’s top environmental organizations reviews the progress of the federal government in meeting its platform and mandate commitments on environmental issues across the country. For Auld Lang Syne, for old time’s sake, for our old friendships, and our new ones, we just wanted to toast you and say thank you for your support this year. If you have not yet had a chance to make a donation, you can do so right here. We’d be grateful for your cup of kindness. Wherever you are today and this evening, be safe, and warm and happy. Thank you for helping to protect our most precious planet. Stand in solidarity with whales! Change your profile and cover images on your social media pages and show solidarity for whales! We are in court this week defending whales and the Gulf of St. Lawrence from the harmful effects of oil and gas exploration. You can read why and how right here. Save water smarter. Protect your home. When you know exactly how much water you’re using, you know how much you’re wasting. Undetected leaks waste valuable resources. Protect your home and the planet with intelligent leak and flood detection by ALert Labs. A whale of a gift for you. For you and all the whale lovers on your holiday list! 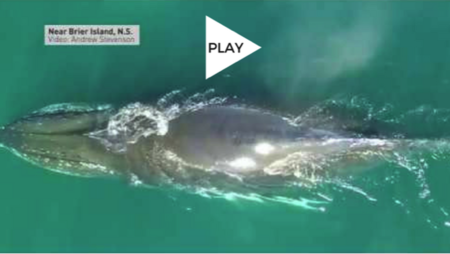 This is an exclusive treat in support of our campaign to save endangered whales, and it's just for Sierra Club Canada Foundation members and donors. When you make a donation today, we will send you this one-of-a-kind whale tail pendant. Please scroll through our very special thank you for everything you do to protect the planet. Sierra Youth has rebranded and we're looking for a fresh new logo! Submit your designs to vickyfenwicksehl@gmail.com by September 12 at 12pm EST. Sierra Youth is an organization run by youth for youth - now's your chance to get recognized and win a prize if your logo design is chosen. See the image below for more details. It’s unimaginable, but we’ve just lost another endangered right whale. This is the 8th whale found dead in only the last few weeks. That’s 1% of the entire estimated population - gone. We need to find and demand solutions to save the remaining few. Time is critical and time is running out. Their only hope rests with you and me. The summer is a time when many folks take a break, take it a little slower and take some needed time off. And while our small team plans to do a bit of that, in fact, it’s shaping up to be one of the busiest times for us. The summer is also a time when funds drop off, but our work doesn’t stop! We could use your support and a funding boost at this time. The issues we face are alarming. I've convinced our fundraising team to make a special offer - we need as many supporters on board right now as possible. Sierra Club Ontario is looking for an energetic, creative, and hardworking individual to help with Chapter outreach and campaign-specific initiatives. The Environmental Outreach Coordinator will be responsible for assisting with both online and offline outreach activities, include digital communications and community outreach. The intern will also be responsible for occasional research and writing tasks specific to Sierra Club Ontario’s campaigns, as required. Sierra Club Canada Foundation (SCCF) is a Canada Revenue Agency registered charity whose mission is to advance the preservation and protection of the natural environment in Canada and across the globe. Since 1971, the SCCF has funded tens of millions of dollars’ worth of important work, from small local projects to large, multi-year campaigns with tens of volunteers, organizers and scientists. I'm in transit to the first hearings about Energy East pipeline in Saint John, New Brunswick. The National Energy Board has allowed Sierra Club Canada Foundation time to speak in New Brunswick, Quebec, and Ontario. Mississauga Welcomes the Urban River Greenbelt at Last! Is this the Start of a Trend? The City of Mississauga Council voted unanimously to approve city staff’s Urban River Valley Greenbelt Report and forward it to Peel Region for approval and application to Ontario’s Ministry of Municipal Affairs and Housing (MMAH). Years in the making, Mississauga has taken the big step to join the Ontario Greenbelt. Throughout the month of August 2015, Sierra Club Quebec organized several bioblitzes along the projected trajectory of the Energy East pipeline. A bioblitz is an inventory of biodiversity, carried out by volunteers in a limited amount of time. Let's work together to reverse global warming. See www.drawdown.org for more information. We are looking for someone magical with children to help deliver Wild Child Forest School Programming in the Kearney Lake area of Bedford for our 2019 Summer/Fall Season. Our ideal candidate would love being outside in all weathers, enjoy playing & supervising children, with an eye for safety and risk management. We are looking for someone magical with children to help deliver PEI’s first forest school program in Charlottetown. Our ideal candidate would love being outside in all weathers and enjoys playing with kids, with an eye for safety and risk management. In a crucial time, when the land use planning policies he, himself, helped forge under three different parties, over 25 years, are under attack by the newly elected government of Premier Doug Ford, veteran land use planner, Victor Doyle, won a major victory. On November 8, 2108, the newly elected Ontario government began a procedure to revise land use planning processes in Ontario. The setting was the “Growth Plan for the Greater Golden Stakeholders Forum” which was held at the Ontario Room of the MacDonald Block at 900 Bay Street in Toronto on November 8, 2018. Also in attendance was Sierra Club Ontario Chapter’s own Dr. John Bacher. (Photo shows Thundering Waters wetlands where offsetting scheme was tried in past. (Photo by Charissa Val Straalen) Two years ago, over 49 non-governmental organizations across Canada and the USA signed on to a letter asking both Prime Minister Justin Trudeau and President Barack Obama to address issues pertaining to a series of shipments of liquid radioactive waste from Chalk River in Ontario to the US Department of Energy’s Savannah River Site in South Carolina. These shipments were along public roads and over bridges crossing the Great Lakes. The Niagara Region has embarked on a new three-year process to develop a new Official Plan. What hinders this path, possibly to ruin, is that it is heavily influenced by a peculiar type of environmental stakeholder: consultants in the pay of developers. On May 8, 2018, the Niagara Falls City Council voted to approve what is now termed the Riverfront development. This would, if approved by the Ontario Land Use Planning Tribunal (LPAT), call for the destruction of 120 acres of diverse natural habitat, some of which is now protected wetlands. In an otherwise flawless election campaign, the Progressive Conservatives under Doug Ford made the questionable suggestion of weakening the Greenbelt. However, the looming threats to the Ontario Greenbelt masked a seldom discussed issue: provincial land use planning. The Thundering Water Forest is a 500 acre woodland on the Welland River in Niagara Falls. For over two years, a struggle has been taking place between the Haudenosaunee First Nations and GR (CAN) Investment Co. Ltd., an investor for massive commercial and real estate development in Niagara Falls. Sierra Club Canada Foundation is hiring 3 summer students in the North York/Scarborough, ON area! Application deadline is June 1, 2018. No matter where you are right now, I want you to take a quiet moment to watch this. Just stop and let it sink in. Aren't they magnificent? A whale of a gift for you this holiday. This is an exclusive treat in support of our campaign to save endangered whales! We have designed this just for our committed Sierra Club supporters. It’s a beautiful statement piece, and one that suits all genders and all ages. Come out to the #DitchTheLawn event on September 30th at Dalhousie University, Halifax and learn more about our green spaces. Please join us this Saturday, August 19, anytime between noon-4pm, as Watch for Wildlife NS and Lush Mic Mac Mall in Dartmouth host an Awareness Day about preventing wildlife vehicle collisions. Part I: Biodiversity in Ontario - Why does it matter? This is Part I of a 5-part blog series, as part of our Biodiversity Video Campaign. 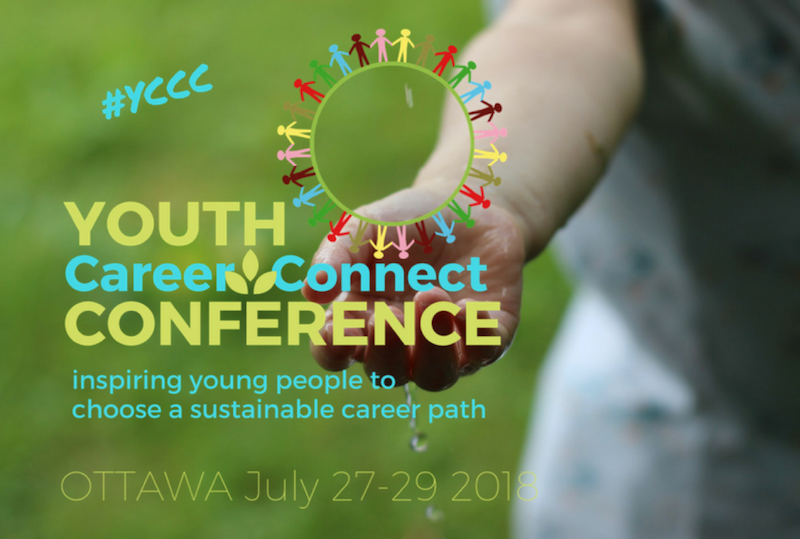 SCCF Atlantic Chapter: now hiring summer staff for Wild Child Forest School (Halifax)! We are looking for someone magical with children to help deliver Wild Child Forest School Programming for the summer in the Halifax areas of Bedford and Grand Lake/Oakfield for our 2017 Summer Season. Our ideal candidate would love being outside in all weathers, enjoy playing & supervising children, with an eye for safety and risk management. SCCF Atlantic Chapter: now hiring summer staff for Wild Child Forest School! It's time to refresh and renew! And a great time to replace or purchase your first set of ULAT Dryer Balls. 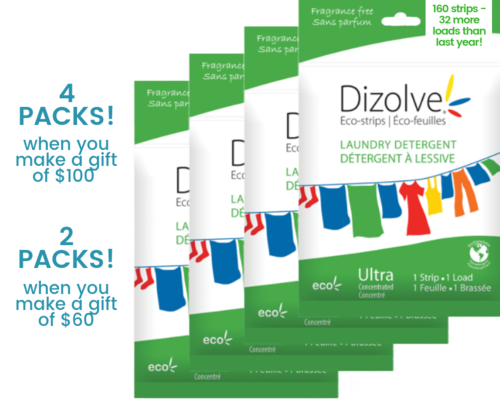 These dryer balls are perfect for reducing drying time and energy use. And they are also non-toxic to people and the environment. Get your TICKETS early on EVENTBRITE or pay at the door! Limited seating. Fight back against Trump - Join today! They will burn progress to the ground. On Wednesday night, we lost our dear friend Dan McDermott. In the final weeks of Dan's life, he was surrounded by people who loved and cared for him - a most special group who kept watch and stewarded Dan until his final moments. It has been an emotional few days for all of us. We will miss Dan terribly, and are grateful for his life and for the many friends and allies who share in this profound loss. In the coming days and weeks, we will be paying special tribute to this great hero of the environment. contains an outline of a proposed process that could do just that and subject the Greenbelt to being turned into a Swiss cheese belt. See below for relevant excerpts from the 2012 Great Lakes Water Quality Agreement. 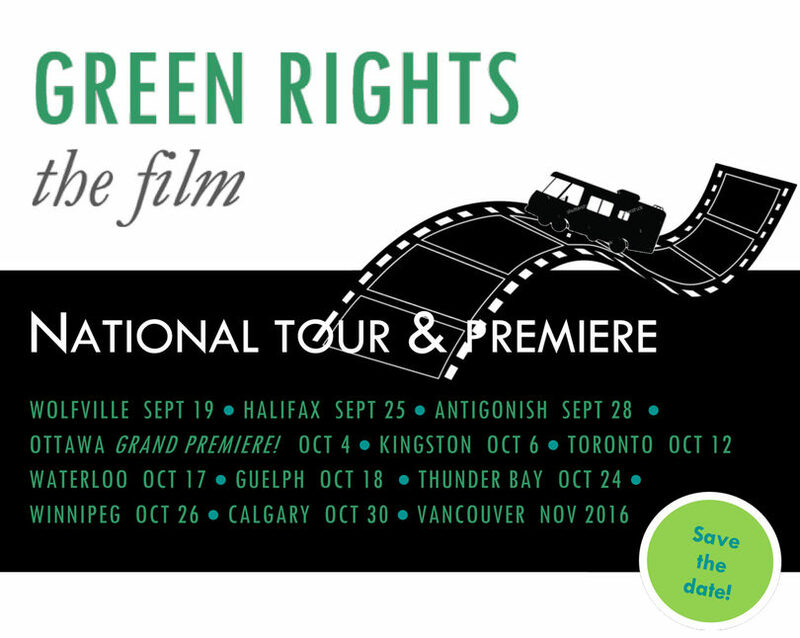 Green Rights Film Tour - join us! One Earth, One Chance: Announcing the finalists for the art exhibition on the theme of Climate Change sponsored by Sierra Club Canada Foundation in partnership with Rebecca Gallery. Twenty-two artists have been selected to participate in the climate change exhibition which will be mounted in the Rebecca Gallery in Toronto from July 5 th to 28 th , 2016. Getting it right with household waste is a hot issue in Peel right now. As construction costs escalated and as Sierra Club Peel Group and various other concerned groups presented multiple environmental, health and sustainability concerns, Regional Council gradually came to the conclusion that their plans to build an EFW (Energy From Waste Facility, the modern version of the incinerator) was not the ideal solution for long term waste management. Through the leadership of Sierra Club member David Laing and a keen group of local cyclists, Bike Brampton is in it's third year of operation. June is Bike Month, and Bike Brampton's signature event is Bike the Creek. Over 500 cyclists participated in this year's third annual Bike the Etobicoke Creek event on June 18. Bike the Creek is a FREE event aimed at encouraging people of all ages to discover the joys of cycling. Four route options were offered this year, suiting all ages and levels of expertise from first time to seasoned participants. 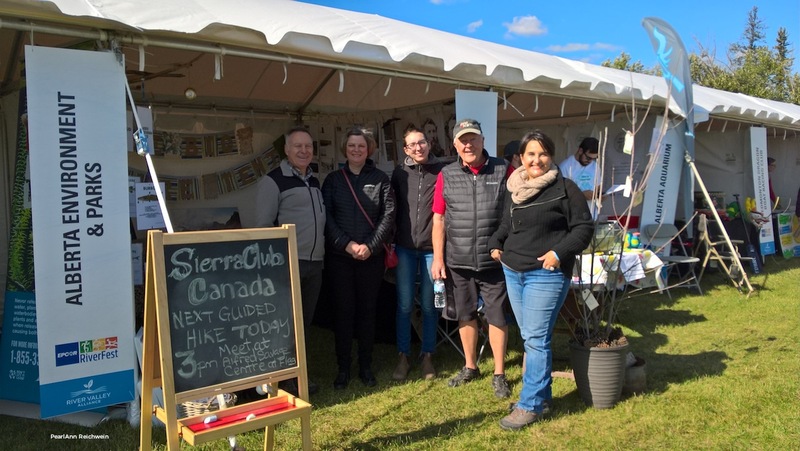 Sierra Peel Members participate at local events, committees and roundtables to bring the voice of Sierra Club of Canada to the table in support of Watershed Health and Natural Heritage Preservation. Protection of river valleys and the ecological goods and services they provide to wildlife and people is at the core of our vision and commitment. The Proposed Norval Quarry is located within the Greenbelt in North West Brampton, a small area rich in natural heritage along the Credit River valley. The proposed shale extraction site has a tributary of the Credit River running through it, along with other Provincially Significant wetlands, and Significant Woodlands. Fish habit restoration by the MNR & CVC is on going in this tributary, to restore spawning trout habitat. Existing and future residential homes neighbor the quarry operations, as well as religious and educational institutions. The Credit River is a special feature of Mississauga, and what could be more symbolic of the city’s wish to enjoy and protect its valued river than to grant it Provincial Greenbelt status? But first, public awareness of this opportunity had to develop, as well as political will to break new ground by pushing through the lengthy provincial application process. Sierra Club Atlantic is searching for a nature-loving individual to assist with the delivery and evaluation of our Wild Child Program. This position is based in Malpeque area of Prince Edward Island. We provide all the equipment needed. Wear sturdy shoes and dress for the weather. Light refreshments will be available. Bring your own refillable water bottle, please. 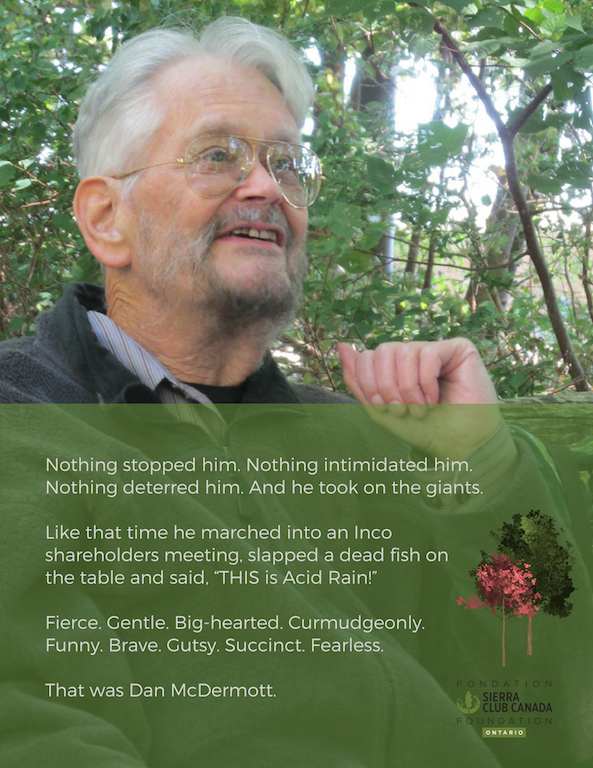 Environmental campaign veterans Dan McDermott and John Bennett will discuss the environmental movement and their involvement dating back to the 1970s when their personal interactions with Bob Hunter and Greenpeace set them on a path of life-long activism. They will share some of their personal experiences with Bob’s mind-bombing approach to environmental activism, but often have very different perspectives that can lead to lively discussions. Mr. Bennett and Mr.
Windsor’s Ojibway Tallgrass Prairie complex is a natural and national treasure. Pressured from all sides by urban development, Ojibway contains more biodiversity than does Algonquin Park or the Bruce Peninsula. At present it is a patchwork of protected and unprotected areas. Appeals to the Government of Ontario have failed to stop incursions that threaten Ojibway. When: Sunday, July 5th from 1 pm= 6:30 pm. What: Gathering in Toronto for the March for Jobs, Justice and the Climate. 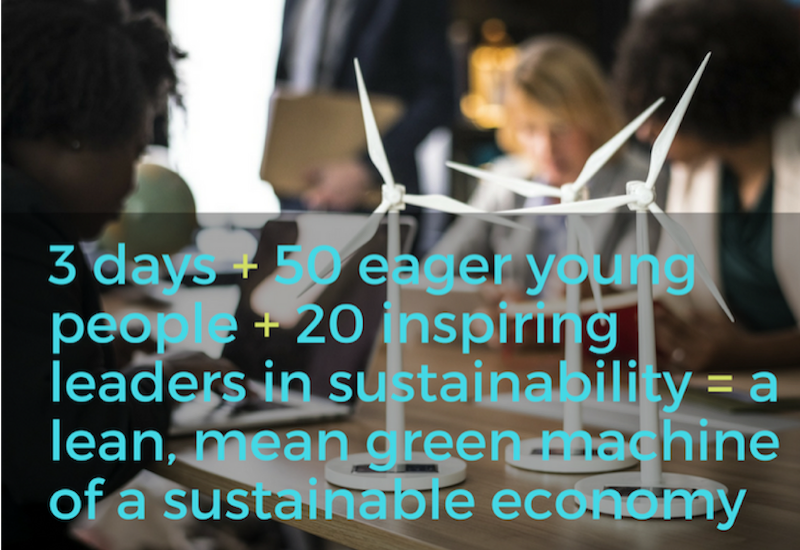 Why: To stand up against the climate crisis and tell the story of a new economy that works for people and the planet. Earlier this June we partnered with Toronto and Region Conservation Authority (TRCA) to host a Pollinator Party at Heart Lake Conservation Area. The weather was great and we were thankful to have the 19 volunteers from Peel region who helped with light gardening and maintenance at the Medicine Wheel Garden and meadow plots. Before we began work on the gardens the Four Colors Drumming Circle hosted an Aboriginal Drumming Ceremony and storytelling session to welcome spring and educate people on the features of the Medicine Wheel Garden (Gitigaan Mashkiki). It was a really neat experience which engaged everyone and connected us to the work we were about to do. Our Natural Capital Program has a NEW Promo Video! Check out our cool new promo video on our YouTube Chanel!! For more information on our Natural Capital Program click here. Thank you to Community Foundation Mississauga for funding video production. Sierra Club of Canada Foundation is working with Peter Rodrigues (former Pickering Regional Councillor, Ward 3) to protect the Carruthers Creek Headwaters which run through Pickering. The letter below was submitted to Richard Stromberg from the Ministry of Municipal Affairs and Housing, and reflects the work being done to rally support for the protection of the Carruthers Creek Headwaters. Heartlake Pollinator Party - June 6, 2015! Come join us at Heart Lake Conservation Area in Brampton on Saturday, June 6th from 10 a.m. to 1 p.m! This past weekend we had a great time planting trees and shrubs in an area of Erindale Park in Mississauga as a part of our Natural Capital Program. Following a quick planting demonstration by Credit Valley Conservation, around 50 enthusiastic participants worked for over three hours (in glorious sunny weather) to get 250 plants in the ground. Since its creation in 1992 the Waterfront Trail strives to connect urban and rural areas, and reconnect people to their communities and Great Lakes Waterfront. The Waterfront Trail serves as the linkage between over 405 parks and natural areas including wetlands, forests and beaches and stretches across 1400 km of shoreline from the eastern border of Ontario to the northwest (2). Over the years the trail has become a local favorite for leisure and recreation and is a place where people can go to reconnect with nature. Locally, Toronto and Durham Region have made (and continue to make) a number of improvements for enhanced accessibility along their portions of the Waterfront Trail. A lot of work has gone into creating and enhancing trail segments, and now many neighboring communities are working collaboratively to link their sections for increased functionality. On Wednesday, May 27th the City of Mississauga will be hosting an Open House in the Living Arts Centre. The night will showcase what Mississauga has planned to expand the Urban Greenbelt down the Credit River to the lake. Sierra Club has been following this project closely for many months and encourages its promotion. Our bioswale project was created in response to water quality issues affecting residents and visitors to the Ajax waterfront. In recent years, as a result of contaminated run-off, the Town of Ajax and its residents have had limited access to swimmable water and beaches and the bioswales are a perfect solution! The structure of these bioswales resembles a rain garden and is designed to control storm water, reducing the amount overflowing onto the beaches. The bioswale mimics wetland processes by providing a planted area of trees and shrubs which will absorb and filter storm water as it is slowed by the soil and root systems of the plants—for free! This is a great way to enhance the waterfront and naturally filter contaminants like automotive run-off and road salts, while restoring the environment. This article posted in Niagara At Large was written by John Bacher, who works with Greenbelt Program team at Sierra Club of Canada Foundation. The article depicts the darker side of urban sprawl and pollution on watershed quality, and how stopping urban sprawl is an imperative step in protecting our waters. Read the article here. The provincial government is hosting a series of public consultations for the review of the province’s land use plans. So if you love the Greenbelt and want to protect our waters, now is the time to attend a Town Hall near your to voice your opinions. For more information on the review process please visit the Ministry of Municipal Affairs and Housing website. Join us for a spring garbage cleanup! Join us at Paradise Park in Ajax on May 2nd for a spring garbage clean-up (See map for details)! This is a great opportunity to enhance your community and waterways, care for the environment and see some of the great restoration work being done at Paradise Beach. High-school students earn volunteer hours- must bring your own form!! Below is a cheery update following the Caledon Review meeting last Thursday night on March 26th. The Greenbelt Review event on Thursday night, March 26th, in Caledon was crowded, maybe 300 there, with many provincial representatives, councillors, and also members of the Advisory Panel that will process the information from all 16 town Halls across the Golden Horseshoe. We sat at tables of 10, debating 6 topics - protecting land - creating jobs - liveable communities - climate change - moving people - and realigning the plans. Debates were lively and interesting, and support for strengthening and realigning Greenbelt legislation was overwhelming. Please spread the word, plan to attend, and bring a friend or two, to this special presentation in March. With the link between biodiversity and human health strongly documented it is welcomed that an extensive and complex report, prepared by the Secretariat of the Convention on Biological Diversity (SCBD) and the World Health Organization (WHO), is highlighting the need for sustainable development policy to reflect this relationship. As a part of our Natural Capital Campaign, Sierra Club has also been active in Peel Region! There will be a couple of events offered in Peel, after receiving funding from TD- Friends of the Environment and Community Foundation Mississauga Grants. Hosted by the City of Mississauga, we will have volunteers at the morning tree planting and a table at the Earth Market. Come out and visit us to say Hi! There will be information booths, vendors, live music, prizes, a food truck, kids’ activities and workshops. Last year with funding from RBC's Blue Water Grants, Sierra Club Ontario joined Town of Ajax, and Toronto Regional Conservation Authority to remove stormwater outflow pipes along Ajax’s beaches and replace them with bioswales to help improve water quality. Bioswales are human-created wetland features which slow the flow of stormwater, allowing nutrients and contaminants to be absorbed and filtered by the plants and soil, before the water reaches the beaches. Credit River Trail from Mississauga to Caledon -- it is possible! At our next Sierra Peel Group meeting guest speaker Susan Robertson of The Credit Valley Heritage Society will tell us about the proposal for a continuous trail along the Credit River from Mississauga to Caledon. There are some beautiful lengths of trail along the Credit and many people are working to connect them. According to Credit Valley Conservation, "Trails in the Credit Valley Watershed cover a wide variety of geographical features, including the Oak Ridges Moraine and the Niagara Escarpment, providing picturesque settings for a leisurely stroll or a challenging, rugged hike." The CVC website has a great page organizing maps of the trails and what to expect on them: http://www.creditvalleyca.ca/enjoy-the-outdoors/activities/trails/. Come learn more about the plans to make these trails contiguous, more accessible and enjoyable for all. A new threat to the environment and the future of the Greenbelt on the eve of its 2015 Review has emerged in Niagara. It is a proposal to extend through the Greenbelt in Grimsby, a Niagara Regional Road, Livingston Avenue (Niagara Regional Road, 512) in the middle of the old growth Irish Grove Forest. The Irish Grove Forest is a 26 acre forest which has never been farmed. It contains huge Red and White Oaks that have been estimated by experts to be 450 years old. It also contains towering super-story White Pines of a hundred to 150 years in age. Most of the trees in this climax Carolinian forest are climax mature Sugar Maples and Shagbark Hickories which are regenerating well. Over the past 5 months, Joseph Boutilier has cycled 5,000km on one wheel to call for action on climate change. Join Joseph as he arrives in our nation’s capital – his final destination – to meet with MPs just as Parliament reopens for the Fall session. Join others demanding political action and unity for the climate crisis. Do it #ForOurFuture. Sierra Club, Town of Ajax and Toronto and Region Conservation are psyched to plant native plants and trees on Paradise Beach bioswales as part of the Great Canadian Coastal Clean-up Saturday, September 20th. 'What's a bioswale?' you may ask. A bioswale is a way of filtering surface water by channeling through plants, gravel or rip-rap and slowing it down. Silt and particulate matter will fall out and the plants in the bioswale help take out nutrients and chemicals, for instance automotive run-off from a parking lot. The plants and soil do this work for free for our benefit! On Saturday, September 27th, at 2pm, a walk will be held to grow the Greenbelt as recommended by a motion of the City of Thorold Council. Walkers and cyclists will assemble at the outside the Indian Flame Bar and Grill, at 1300 Lundy’s Lane near the Allanburg Bridge. The route will take an hour and a half by walking and participants are encouraged to meet informally at the Indian Flame afterwards. In case of any extreme weather, the event will be held at 2pm on Sunday, September 28th at the same location. Rouge Park has been getting a lot of press coverage recently. The proposed federal legislation for Rouge Park is not good enough, and the remarkable ecological values of the park deserve more protection. A letter signed by 7 environmental groups outlining the objections to the legislation for establishing the future urban park can be found here. Come plant with Sierra Club in Ajax to help improve the air and water quality in the community! 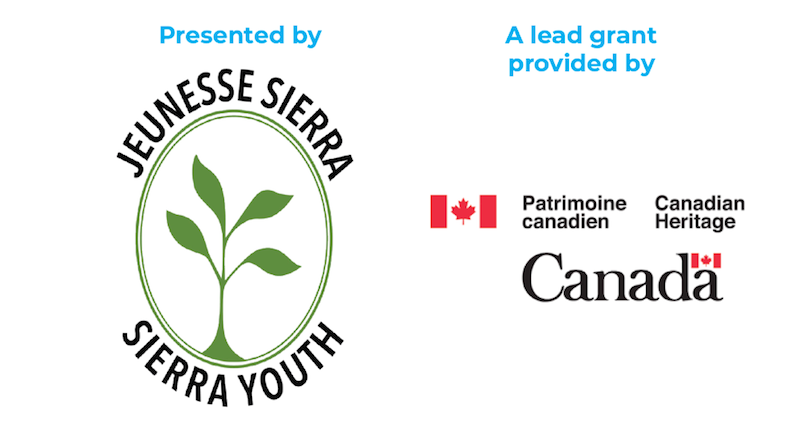 For more information, please contact Alyssa at paradise.beach@sierraclub.ca, or Kristina at 647-346-8744. Trees improve air and water quality, and mitigate climate change. 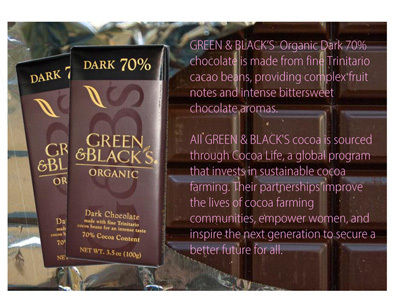 Help green our communities! No experience necessary, there will be demonstrations on site. Gloves, shovels, and light refreshments will be provided. Students are eligible for volunteer hours. Where: McLaughlin Valley (see map on flyer). Major intersection is McLaughlin Road N. and Williams Parkway. Who: Everyone is welcome! Bring your friends and family! Walk To Save Southern Ontario’s Vanishing Forests. Today we have a bizarre situation where hard wrested environmental progress is being turned back. This is the shrinking of Southern Ontario’s forests, in the fertile agricultural area south of the Canadian Shield. Following the invasion of what was called Upper Canada there was a rampant destruction through burning of the forests of the land which, after Confederation, became called Ontario. Most of these forests were used to produce ashes, to manufacture soap and other products manufactured in Europe. It took sixty large maple trees to produce a single barrel of potash to be shipped across the sea. Sierra Club Canada Foundation with Town of Ajax and Toronto & Region Conservation are cleaning up Paradise Beach. What free trade advocates say: The US says the deal would “significantly reduce the cost of differences in regulations and standards by promoting greater compatibility, transparency, and cooperation, while maintaining our high levels of health, safety, and environmental protection”. With the ink still wet on a free-trade deal with South Korea, Prime Minister Stephen Harper says Canada would be willing to reopen the North American Free Trade Agreement for the right price. Harper stopped in Vancouver on his way home from South Korea on Wednesday, wasting no time in selling the new agreement. March 12, 2014. ft.com Letters to Editor From Mr Kavaljit Singh. Sir, Robert Zoellick’s assertion that China can advance internal reforms through proposed bilateral investment treaties (BITs) with the US and the EU is unconvincing (“International treaties can once again help China advance”, Comment, March 11). BITs are not meant to tackle corruption and fight favouritism in China, as perceived by Mr Zoellick. Such policy objectives can be best advanced through domestic political reforms. Since the economic crisis hit Europe, international investors have begun suing EU countries struggling under austerity and recession for a loss of expected profits, using international trade and investment agreements. WASHINGTON - March 11 - A massive free trade deal went into effect 20 years ago and has had very harmful effects on communities and the environment in the U.S., Mexico, and Canada, according to a report released today. January 1, 1994 marked the first day of the implementation of the North American Free Trade Agreement (NAFTA), and nearly 20 years later, communities are still suffering from its consequences. Trade unions and campaign groups have written to Vince Cable calling for a halt to negotiations on the EU-US trade deal, as talks begin in Brussels today. The groups, including the UK’s second biggest trade union UNISON, environmental, social justice and anti-poverty organisations, believe the Transatlantic Trade and Investment Partnership (TTIP) will undermine democracy, threaten public services and lead to lower standards in a range of areas including environmental protection, workers’ rights and food safety. Corporations, backed by lawyers, use international investment agreements to scavenge for profits by suing Europe’s crisis countries. While speculators making risky investments are protected, ordinary people have no such protection and – through harsh austerity policies – are being stripped of basic social rights. Profiting from Crisis is a story about how corporations, backed by lawyers, are using international investment agreements to scavenge for profits by suing governments from Europe’s crisis countries. It shows how the global investment regime thrives on economic crises, but is very uneven in who it benefits. While speculators making risky investments are protected, ordinary people have no such protection and – through harsh austerity policies – are being stripped of basic social rights. TTIP: A charter for deregulation, an attack on jobs, an end to democracy. No fracking way: how the E U - US trade agreement risks expanding fracking in Europe and the US. No Fracking Way: How the EU-US trade deal risks expanding fracking in Europe and the US. Untangling the Trade Talks: What are the likely consequences of an EU-US trade deal for our food and environment? EXCLUSIVE / Plans for a sweeping EU-US free trade deal known as TTIP risk being blown off course by civil society fears about the damage it could wreak on environmental and social protections, according to a leaked EU document seen by EurActiv. The preparation paper for an EU-US Summit on 26 March, which is marked as ‘restricted’, identifies the Trans-Atlantic Trade and Investment Protocol (TTIP) as a “clear vector for jobs and growth for both the EU and US”. You can safely bet that the (TPA) will not feature as much in the forthcoming European elections as the extradition of illegal immigrants or the (alleged) teaching of "gender theory" in French schools. The TPA will affect 800 million affluent people and almost half the world's wealth (1). The European Commission is negotiating this free trade agreement with Washington on behalf of the EU's 28 member states, and the European parliament elected this May will be expected to ratify it. Nothing is settled as yet, but on 11 February the French president François Hollande, during his state visit to Washington, proposed to speed things up, saying: "We have everything to gain by moving quickly. Otherwise, as we know all too well, there will be a build-up of fears, threats and tensions." suffers from overwhelming congressional and public opposition. today, stating only that they hope for a deal "as soon as possible." Public Citizen's Eyes on Trade Blog. Feb 19, 2014. U.S. Eyes on Trade Blog: New Public Citizen Report Catalogs the Negative NAFTA Outcomes That Are Fueling Opposition to Obama Push to Fast Track TPP. The 20-year record of job loss and trade deficits from the North American Free Trade Agreement (NAFTA) is haunting President Barack Obama’s efforts to obtain special trade authority to fast track the Trans-Pacific Partnership (TPP), said Public Citizen as it released a new report that comprehensively documents NAFTA’s outcomes. by Blair Redlin ·February 4th, 2014. On Feb. 3rd, I made a presentation in Vancouver to the House of Commons Standing Committee on International Trade on the proposed Canada/E.U. trade deal (C.E.T.A.). I was there on behalf of CUPE B.C. Agence Europe reports, "France believes that a state to state dispute settlement mechanism is enough under the transatlantic trade and investment partnership (TTIP). ...France 'is not in favour' of including in the agreement a settlement mechanism for disputes between the investor and state, as (French minister for trade Nicole) Bricq believes that a state to state dispute mechanism 'is enough'. France is not alone on this issue - Germany is also 'very reluctant', Bricq says." Photo: French trade minister Nicole Bricq. Photo from SIPA. The news report also says, "Bricq welcomed the (European) Commission's initiatives to ensure more transparency in the negotiations via a consultative experts' group at the European level and the launch of a public consultation on the protection of investments." Zach Dyer. The Tico Times Feb 10. After months of saber rattling, Infinito Gold, Ltd. announced Monday that it had filed for a Request for Arbitration with a World Bank court in its protracted dispute with the Costa Rican government over the canceled Las Crucitas gold mining concession. The concession was revoked in 2010 following environmental concerns and doubts about the concession’s legality. 22 January 2014,Brid Brennan. Transnational corporations, particularly gas & oil industry, and banking have continued to benefit extraordinarily from the ongoing economic and financial crisis, says Brid Brennan, who presents TNI's State of Power Report 2014 at the Public Eye Awards in Davos. By Karen Hansen-Kuhn, IATP, February 3rd, 2014. More than 65,000 people rallied at Mexico’s Monument to the Revolution and marched to the historic Zocalo Square to demand a new economy that puts equality, justice and human rights first. Farmers, union, environmental and women’s activists gathered in Mexico City last week to take stock of the lessons from NAFTA and plan strategies to confront the next big threat: the Trans Pacific Partnership (TPP). One of the earliest lessons from the NAFTA experience was that people and environments in all three countries were affected. The stories from Mexico, Canada and the U.S.
On the 20th Anniversary of the signing of NAFTA, labor unions, farmers, women, environmentalists, and human rights organizations from Mexico, the United States, Canada and Quebec came together in a Tri-national Forum in Mexico City. We have assessed the impact on human, environmental, labor, social, and cultural rights. We conclude that the benefits of NAFTA were exaggerated to sell the agreement to the public. The promises made were not fulfilled, on the contrary, we have seen a rise in inequality, impoverishment of the vast majority of the population, loss of employment, job insecurity, environmental degradation, deterioration of social cohesion and increased violence. He called it the most nontransparent trade negotiation in Canadian history. “Here in Canada, how much do we know about the Trans-Pacific Partnership,” said Stuart Trew, trade campaigner with the Council of Canadians, standing outside the Mexican Consulate in downtown Toronto on Friday afternoon. WASHINGTON — IN his State of the Union address on Tuesday, President Obama focused on reversing the growth of economic inequality in the United States and restoring the American dream. At the same time, he also announced his support for fast track authority that would limit Congress’s role in determining the content of trade agreements. Carbon Briefing: Who killed the EU's transport fuel standards? Ros Donald, 30 Jan 2014, 13:00. Photo Credit National Wildlife Federation. Is the fuel that powers our cars set to get a lot dirtier? After 2020, the European Union is to drop the Fuel Quality Directive, a measure designed to help clean up transport fuels. Environmental and business groups have called the decision a coup for Canada's tar sands industry - but who really engineered it, and who really benefits? The answers may be subtler. While the EU's emissions in other sectors are going down, emissions from transport keep growing. The EU has introduced measures to tackle this trend, such as standards for new cars and including aviation in emissions trading. But it also wants to make sure EU vehicles are using the least polluting fuels. Twenty-five years ago when I first scrutinized the text of the Canada-U.S. Free Trade Agreement (FTA) I warned that the proportionality clause in the energy chapter posed a grave danger to Canadian energy sovereignty. When invoked it would require Canada to make available to U. S. importers the same proportion of our total oil or gas supply as we sold them over the previous three years. That same clause was later incorporated into NAFTA. Mexico wisely negotiated an exemption. In 2008 I decided to test my concern that the proportionality obligation could actually lead to energy shortages in Canada. In a study entitled Over a Barrel, co- published by the CCPA and the Parkland Institute, Gordon Laxer and I explored three scenarios concerning what would happen if the clause were invoked. Jonathan Stewart, who attended an anti-fracking meeting in the United Church Hall in Stephenville Saturday, signs petitions opposing fracking. He especially liked the fact that the NDP environment and conservation critic talked about how Lone Pine Resources Inc., a U.S. fracking company registered in Delaware, which wanted to frack for gas under the St. Lawrence River in Quebec, has threatened to sue Canada under the North American Free Trade Agreement (NAFTA) because of Quebec's moratorium on fracking. He said the company is saying this moratorium is violating the oil company's right to frack and it's demanding $250 million in compensation. In October of 2013, groups such as the Council of Canadians, the Sierra Club, For Love of Water (FLOW), Eau Secours!, and AmiEs de la Terre were gathering signatures for a letter to Lone Pine urging the company to drop plans to sue Canada. "Corporate interests were fiercely lobbying for President Obama to dedicate serious time in this State of the Union speech to pushing Fast Track and the Trans-Pacific Partnership in order to try to overcome broad congressional and public opposition to both, but instead he made only a passing reference that largely repeated his past statements. With almost no House Democratic support for Fast Track, a bloc of GOP "no" votes and public opposition making congressional phones ring off the hook, high-profile treatment of the issue was considered necessary to revive any prospect that Fast Track could be passed in this Congress. Prepare for a State of the Union oddity: Democratic members of Congress sitting in silence while Republicans rise to cheer President Obama's call for Congress to grant him new powers. A letter released today signed by a stunning array of more than 550 Democratic base organizations reiterates the perverse situation. Despite widespread opposition from congressional Democrats, Obama is expected to call on Congress to delegate Fast Track authority to him. The extraordinary trade authority, which Congress has refused to grant for 15 of the past 20 years, would suspend normal congressional procedures for consideration of the controversial Trans-Pacific Partnership (TPP), which Obama hopes to sign soon. This week, the European Commission announced a freeze in negotiations over dangerous corporate rights in the proposed EU-US trade deal (Transatlantic Trade and Investment Partnership, TTIP) and that it would conduct a public consultation on the issue. This move is an important first success for the growing anti-TTIP movement, which is unanimously opposed to proposals for so called investor-state dispute settlement in the deal. But a closer look at the Commission’s line shows that it might just be a smart trick to dispel concerns, without abandoning the corporate agenda of the trade talks. The European Commission says it will consult on part of a far-reaching EU-US free trade deal amid concern that hard-won social protections in Europe might be undermined. The trade negotiations began last year but now the Commission has launched a three-month public consultation on the proposed investment rules for firms. There are fears that they could give big firms too much power to block unfavourable government policies. The proposed EU-US Transatlantic Trade and Investment Partnership (TTIP) could bring huge benefits for Europe and America, the Commission says. In a rare move, the European Commission has decided to freeze talks with the United States on the investment provisions of the Transatlantic Trade and Investment Partnership (TTIP) for three months while it conducts a public consultation on how the deal should approach investment, according to an EU official. This is a call to action for communities throughout Mexico, Canada and the United States to join together on January 31, 2014, and say "ENOUGH!" to the North American Free Trade Agreement (NAFTA), the pending Trans-Pacific Partnership (TPP), the Canada-EU Comprehensive Economic and Trade Agreement, and other corporate "trade" deals. Solidarity actions elsewhere throughout the globe are welcome. Featuring Burcu Kilic, Legal Counsel, Public Citizen Global Access to Medicine Program; Christopher Sands, Senior Fellow, Hudson Institute; and Mark Schultz, Associate Professor, Southern Illinois University School of Law, and Senior Scholar, Center for the Protection of Intellectual Property, George Mason University School of Law; moderated by Simon Lester, Trade Policy Analyst, Herbert A. This is the confidential draft treaty chapter from the Environment Working Group of the Trans-PacificPartnership (TPP) talks between the United States, Japan, Mexico, Canada, Australia, Malaysia, Chile,Singapore, Peru, Vietnam, New Zealand and Brunei Darussalam. The treaty is being negotiated in secret by delegations from each of the 12 countries, who together account for 40% of global GDP. The consolidated draft text of the Environment chapter of the Trans-Pacific partnership Agreement and the accompanying chair’s commentary have been posted in Wikileaks (http://wikileaks.org/tpp-enviro). The documents are dated 24 November 2013, the final day of the Salt Lake City round in November. The chair’s commentary records the countries that objected to, and in some cases that supported, different aspects of the text. They are consistent with the chart (https://wikileaks.org/IMG/pdf/tpp-salt-lake-positions.pdf) that Wikileaks posted in December showing one country’s assessment of the 12 countries’ positions on many TPPA issues. By Richard Chirgwin, 12th January 2014 . An Australian government minister has said he expects the controversial Trans-Pacific Partnership agreement to be finalised soon. Talks on the treaty – which has been criticised for following a corporate America agenda on issues like patents, copyright law, and investor-state dispute settlement – stalled late last year. At the time, the US negotiator noted that the Salt Lake City talks “were not progressing according to plan”. The UK's freedom to tackle climate change, protect consumers or guarantee a publicly run NHS could be jeopardised by a trade deal being negotiated between Europe and the US, MPs and pressure groups have warned.Under a draft plan supported by the European Commission, multinational firms would be given wide-ranging powers to sue EU governments that adopt public policies deemed to “discriminate” against free trade. This is a call to action for communities throughout Mexico, Canada and the United States to join together on January 31, 2014, and say "ENOUGH!" to the North American Free Trade Agreement (NAFTA), the pending Trans-Pacific Partnership (TPP) and other corporate "trade" deals. Solidarity actions elsewhere throughout the globe are also welcome. But it was unclear why Mexico, which now imports 42 percent of its food, would be worried about feeding the world. It wasn’t doing so well feeding its own people. In part, you can thank the North American Free Trade Agreement (NAFTA) for that. Twenty years ago, on January 1, 1994, NAFTA took effect, and Mexico was the poster child for the wonders of free trade. The promises seemed endless. OTTAWA - Prime Minister Stephen Harper will begin the first full week of 2014 trying to keep public attention focused on the economy and touting the benefits of Canada's booming natural resources sector. The PM is expected to highlight the recently signed Comprehensive Economic and Trade Agreement with the European Union when he speaks to business leaders today in Vancouver. An agreement in principle was inked by Harper and European Commission president Jose Manuel Barroso in October. However, ratification of the deal could take another two years. On the first day of a swing through Western Canada, Harper will take part in a question and answer session with the CEO of Vancouver's Board of Trade. January 6, 2014 A petition on the National Assembly of Quebec website asks the Quebec government to immediately publish all texts related to the Canada-European Union Comprehensive Economic and Trade Agreement and to hold "an open, public and inclusive debate" through public consultations and a parliamentary commission. The petition closes February 6, 2014. Why Did it Take So Long to (Sort of) Finalize the CETA? In the fall of 2013 the Government of Canada finally announced that it had finalized (sort of) an agreement with the European Union for a comprehensive trade and economic agreement. I say "sort of" since all that was released was a general overview of the agreement. While a number of questions still remain about the agreement, one of the most puzzling (at least for some of us) is why it took so long for Canada and the European Union to come to an agreement. We believe that one of the reasons it took so long to finalize an agreement is that Ottawa and the provinces did not put in place a formal process for securing provincial approval of the final shape of an agreement. Introduction: This paper places the Australian Labor government’s 2011 policy of Investor -State rejection within the context of the escalating criticism of Investor-State Agreements [ISAs] and the extent to which they are being revisited and rejected by a growing number of countries. It offers insight into how and why the former Labour government of Australia came to its decision to reject Investor -State in its 2011 Trade Policy Statement while considering whether Australia’s policy of Investor-state rejection should be an option for Canada. OPG to subject its EIA to independent third-party peer review, including on the issue of the structural integrity of the concrete used in the reactor containment buildings. A non-partisan Royal Commission of Inquiry into the Future of Nuclear Power in Canada. Non-exposure to tritium in drinking water, a position consistent with the precautionary principle and responsible public policy. It should serve as a baseline in the CNSC assessment of the OPG EIS. The inclusion of nuclear issues in the new Great Lakes Water Quality Agreement (GLWQA) and a new IJC Nuclear Task Force to produce a report on nuclear issues. http://www.sierraclub.ca/fr/bac-vert-ottawa Le programme de collecte des Bacs Verts d'Ottawa est lancé et votre collaboration est essentielle à son succès. Visit http://www.sierraclub.ca/en/bin-talk-ottawa to join the green bin campaign and find out more about giving a presentation to your community. Stephen Hazell, lawyer for Ecojustice, talks about how the government is dismantling Canada's environmental laws by sneakily making changes through the Budget bill and how we can save our laws. Sierra Club Canada hosts Eco Echo benefit concert featuring bands The Pelts, Brasstronaut, Glenn Nuotio. Mark Graham, Ecology Advisor, spoke on the Eco Echo community project. Mopping without water? Easy and effective. This might sound crazy but it's actually really straightforward, and my kitchen floor is squeaky clean right now. So doing dishes last night took quite some time (30-45 minutes), but only about 1.685 L of water or so, so that's not bad considering the amount (and the quality) of dishes I did. Tonight, I do dishes. Here's my system, explained. I've decided that, if I'm going to talk about water efficiency and conservation, I should walk the talk and, you know, challenge myself every once and a while. Visit www.sierraclub.ca/bintalkottawa to join the green bin campaign and find out more about giving a presentation to your community. John Bennett, Executive Director of Sierra Club Canada, interviews Janet Eaton, Trade and Environment campaigner.